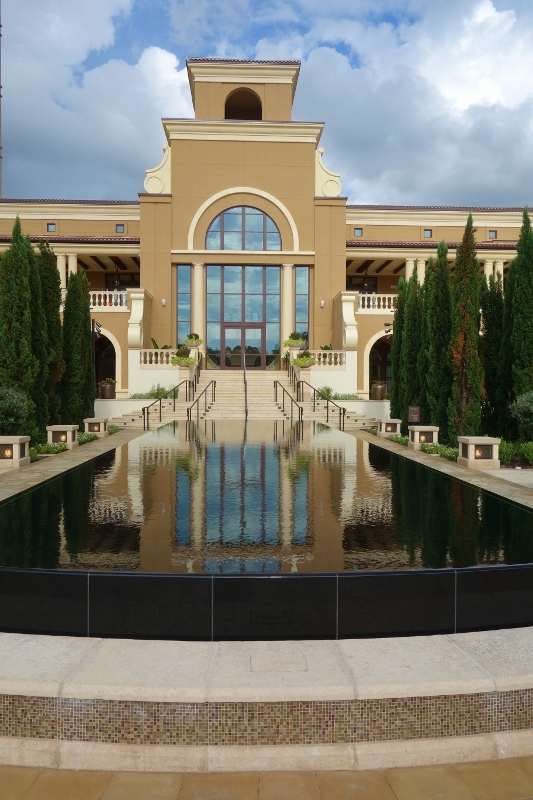 The Four Seasons Resort Orlando at Walt Disney World Resort (the full name, which only its mom uses) is only five-star resort on property. For returning visitors who will be spending time relaxing at the hotel, and who have cars and thus can easily work around its bus schedule issues, Four Seasons Resort Orlando is a spectacular place to stay, with a level of service and amenities unmatched elsewhere at Disney World, the best pool complex on property, great dining for adults, and enormous and very comfortable rooms. Not owned by Disney, it does not share in most Disney hotel guest perks like Magical Express or access to the Dining Plan. However, new in March 2018, it does have access to Extra Magic Hours, and new in April 2018, its guests do have access to FastPass+ booking 60 days out. (This is noted as “available through December 31, 2018, and is subject to change without notice.” and it is unclear whether Four Seasons will revert to 30 day FastPass+ in 2019). It also has its own transportation system and does not use Disney buses for hotel-park transport. Its transport schedule varies, but on my visits ranged from every half hour (to the Ticket and Transportation Center) to (mostly) hourly to Epcot, the Animal Kingdom, and Hollywood Studios. This transport is not always well attuned to operating hours–with, for example, first morning arrivals at or after rope drop at Epcot and Hollywood Studios, and last pickups at Hollywood Studios just 35 minutes after the Star Wars fireworks is scheduled to begin. The hotel is supported by some Disney cast members for planning help, but has even less Disney theming than Shades of Green. I rank hotels on this site for first time family visitors who may never return, and because of that put pervasive visual kid appeal as the first criterion, and after that transportation convenience. So with its slender general visual kid appeal and its transportation issues, I can’t really rank Four Seasons Orlando highly for first timers who will be spending most of their time at the parks. 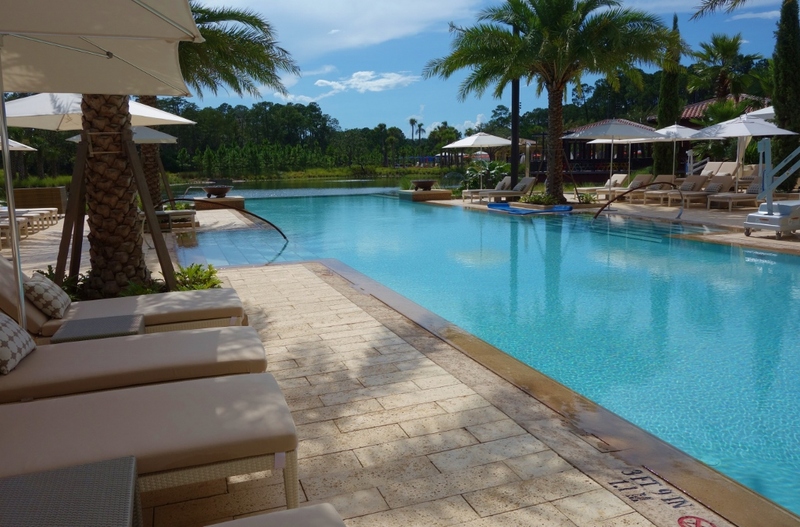 But as I noted, Four Seasons Resort Orlando is a wonderful respite for returning visitors who plan extensive hotel or pool time. After her July visit, I may not be able to get lovely wife Amy Girl into another hotel. Four Seasons has the nicest standard rooms on property, the best pool complex at Disney World, and fine dining for adults (and a bit of playful dining for kids). Note that the long-time travel agent partner of this site, Kelly B., can help you book your Disney World vacation at Four Seasons or anywhere else–contact her at at KellyB@DestinationsInFlorida.com or 980-429-4499. 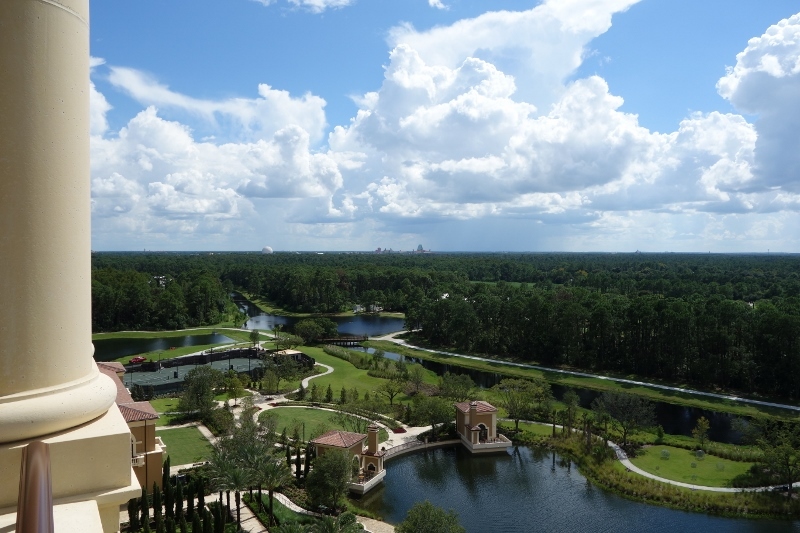 Once you arrive on the grounds of Four Seasons Resort Orlando, you could be almost anywhere. 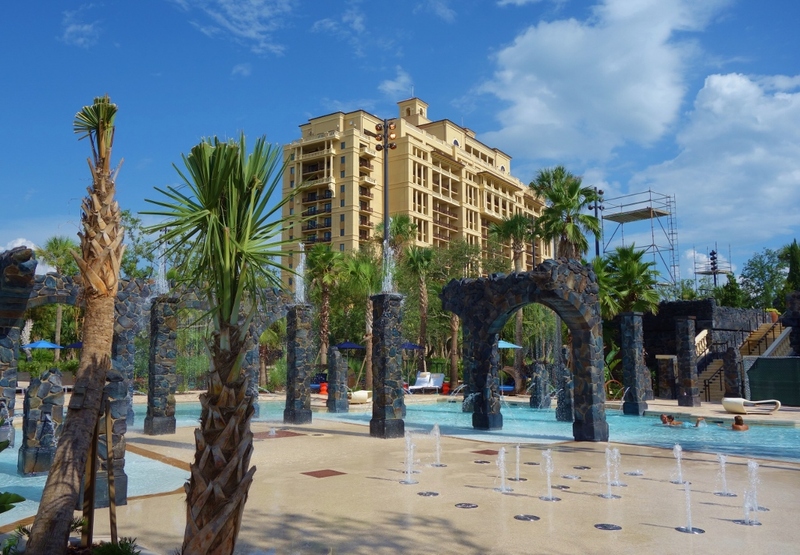 With few Disney design or decorating touches, nor any architecturally playful elements, the overall feel is simply that of a lovely high end resort. 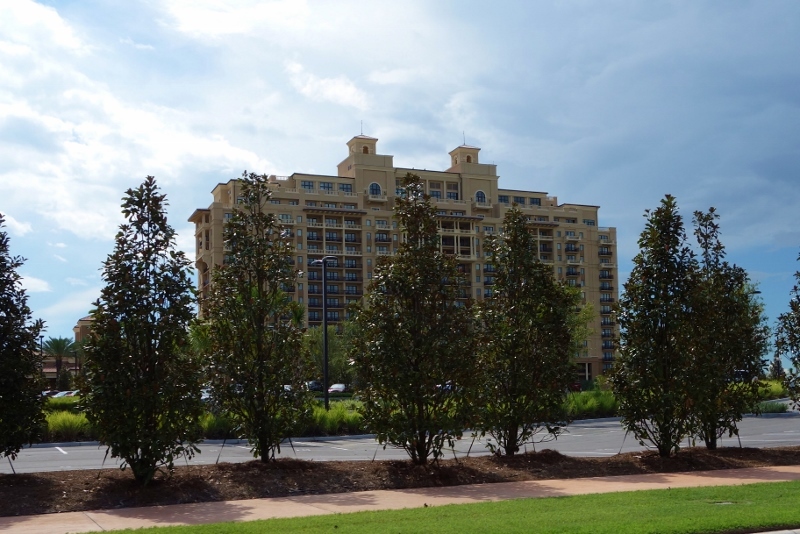 The seventeen story tall building is deep in the Golden Oak area of Disney World, between Fort Wilderness and Port Orleans Riverside. 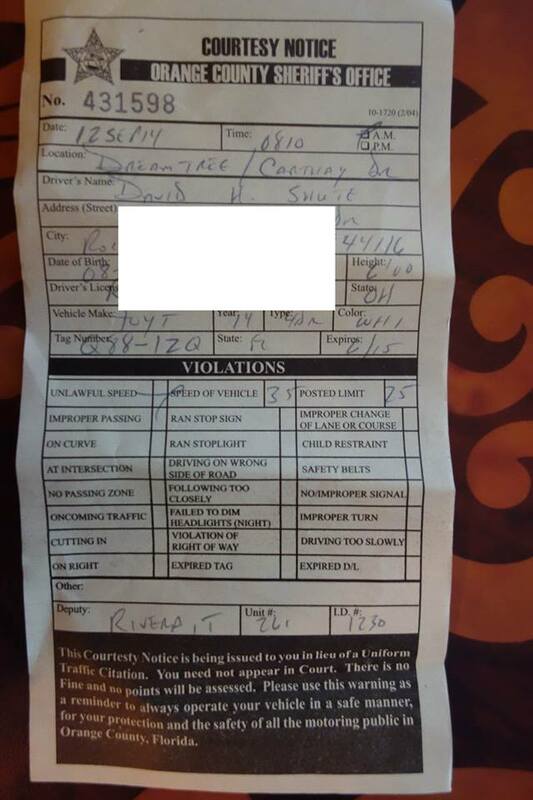 Note that the speed limit back here is 25 mph. The building is quite lovely, though I never really fully captured its appeal in a photo. The exterior architecture has elements of the Spanish Colonial Revival style, mixed in with a bit of Tower of Terror. 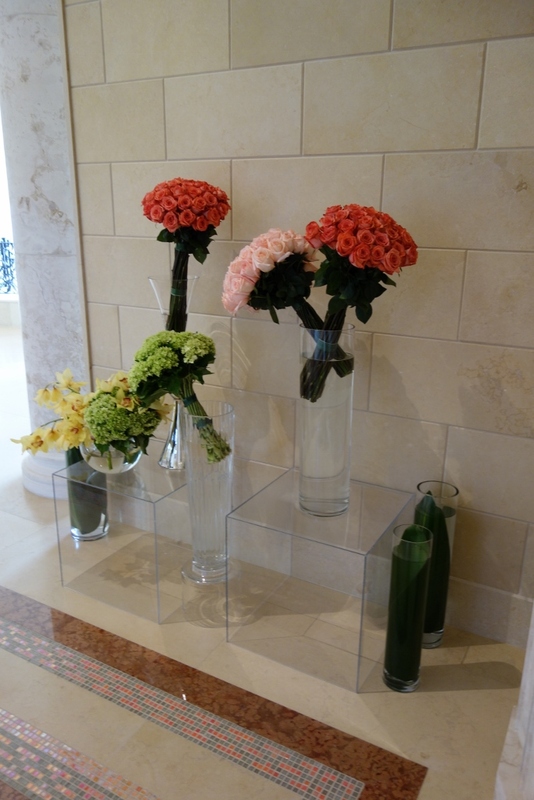 In a contrast to the Disney resorts, you’ll see more greenery than flowers in the landscaping–making the flowers that you do see, such as these on the lobby level, that much more welcome. 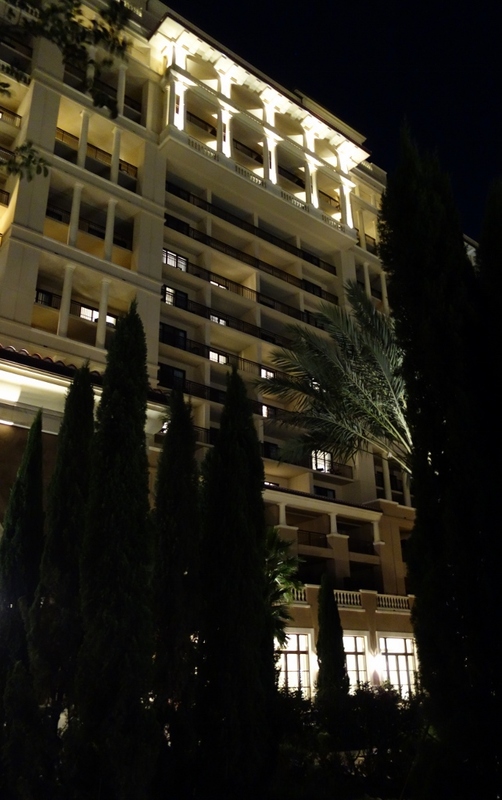 The slender Disney theming here is wonderful for some–those who have enough Disney in the parks themselves, or those staying here largely for purposes other than playing in Disney World: a convention, a wedding, simply relaxing at a luxurious resort. But it’s not so fun for others. You could reserve the nine-bedroom suite that’s available here among the more than 60 suites on offer. 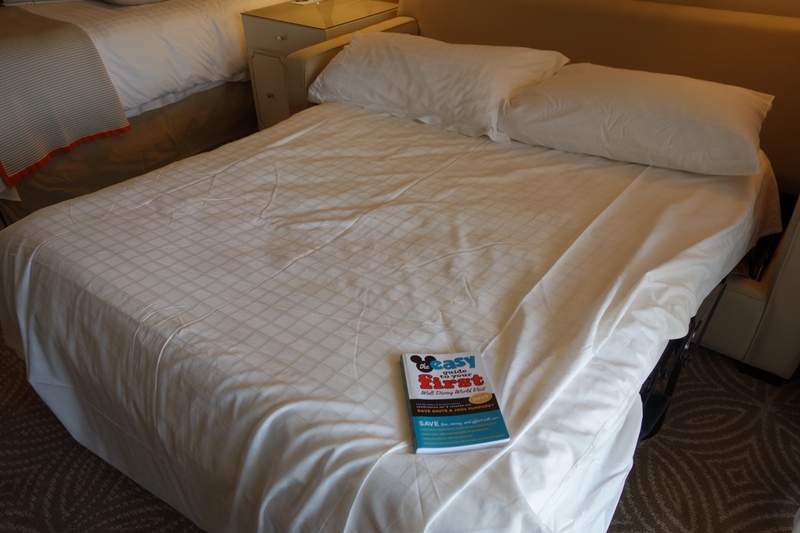 For a lot less you could book 80 or so rooms at Pop Century, losing, however a certain je ne sais quoi. Or you could, like I did, book standard rooms. Standard rooms here come in two flavors: one with a king bed and a couch that folds out into a bed, and one with two full beds. I’ve stayed in each type. The king room floor plan is above, and the full room plan below. 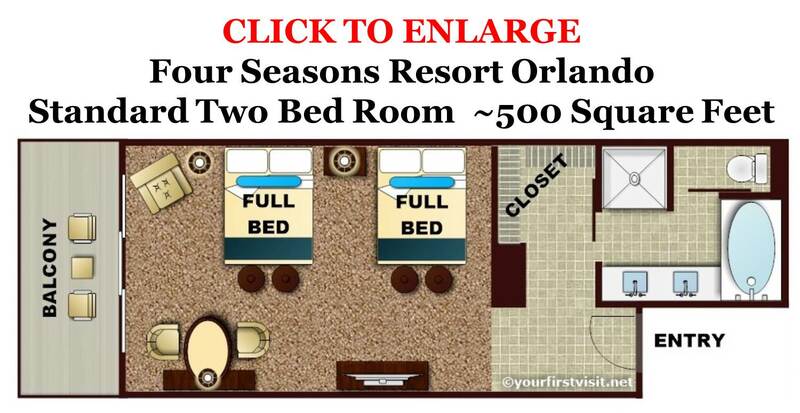 Either choice yields an enormous room–with 500 square feet they are, according to Four Seasons, the largest in Orlando–a simply huge closet, tons of storage, and a nice, though mostly undivided, bath (the toilet is set off in an opaque glass surround). I can’t imagine why adults would want a room with full sized beds, so pretty much everyone who is booking just one room should aim for the king/sofa bed combo. The sofa bed at the Four Season is the most comfortable such I’ve ever slept on, and puts the sofa beds in the Disney resorts to shame. I measured it as 60 inches wide by about 72 inches long–as wide as a queen, but shorter. The cushion is an astonishing 6+ inches deep. 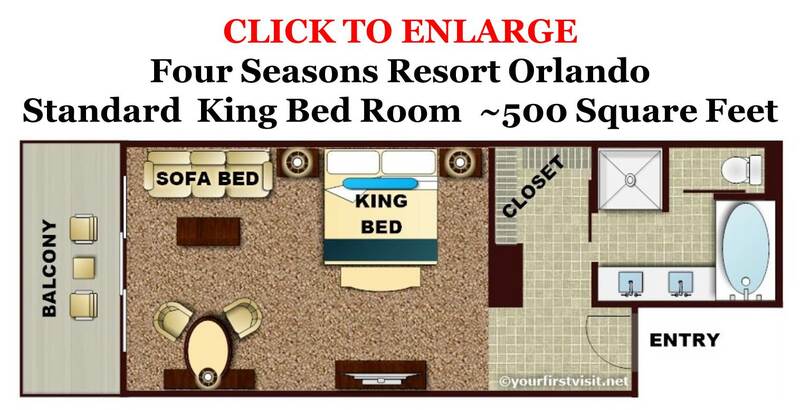 But I’m not seeing the why of the full beds–in the Disney-owned resorts, only value resorts don’t have queens (except the Pirate rooms at Caribbean Beach). Perhaps the full bed rooms are designed for double occupancy conventioneers–there’s a small conference area at the hotel. Or maybe they are for kids/staff, with the expectation that the parents/bosses would be in a connecting king room. 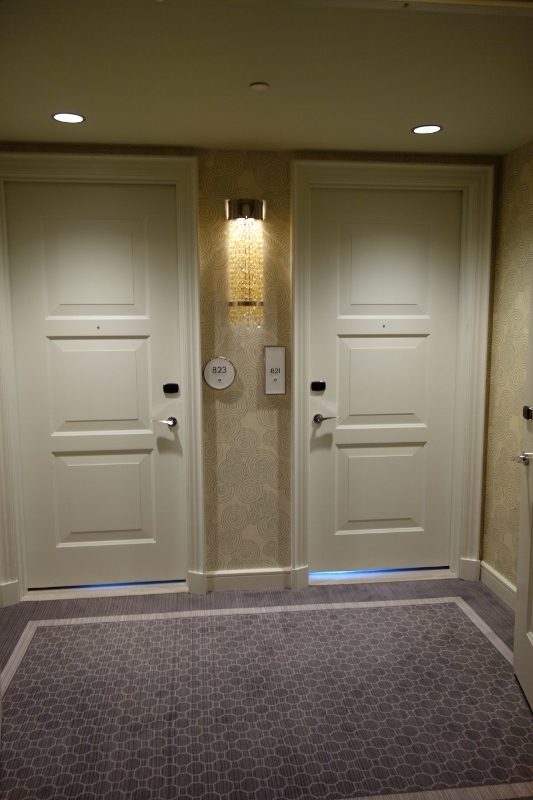 Many rooms are built in pairs of king rooms connecting with full rooms, with deep entries to both that allow another set of doors to close off the front doors of the connecting spaces from the hall. A photo tour of a king bed room at Four Seasons Orlando begins here, and a photo tour of a full bed room at Four Seasons Orlando begins here. Park View rooms are worth the extra money. 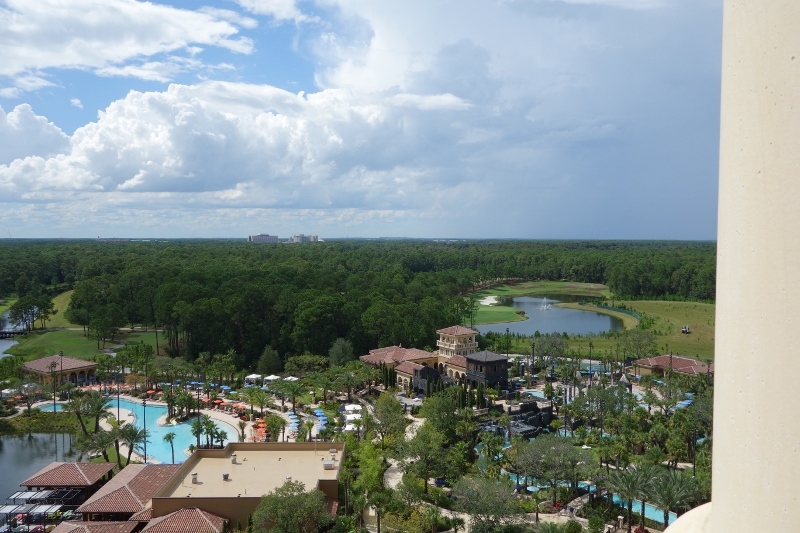 One long side of the Four Seasons overlooks the parking lot and the residential area of Golden Oak; the other side overlooks the pools, and, at a distance, both Epcot and the Magic Kingdom–much to be preferred. Even though the fireworks really are quite distant, the pool and water views are themselves spectacular. …and the Magic Kingdom from the other, with the distant bulks being the Contemporary and Bay Lake Tower. 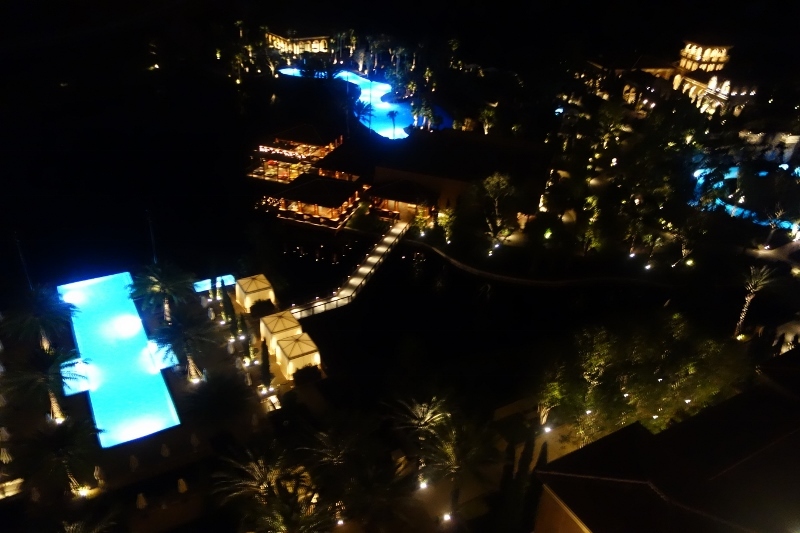 The night view of the pools is particularly nice…and speaking of them, just a few quick words on the pools–more to come later. 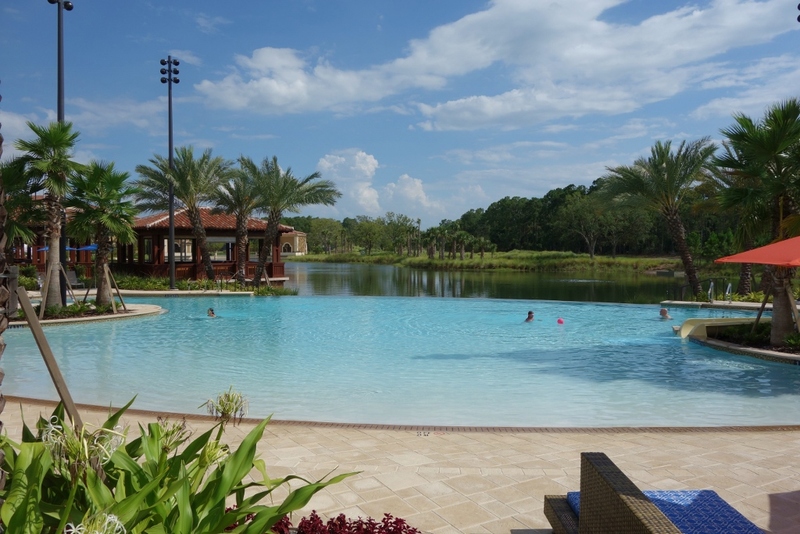 The pool complex at The Four Seasons is better than the pools at any Disney owned resort–yes, better even than Stormalong Bay at the Yacht and Beach Clubs. …and a large and long family pool. 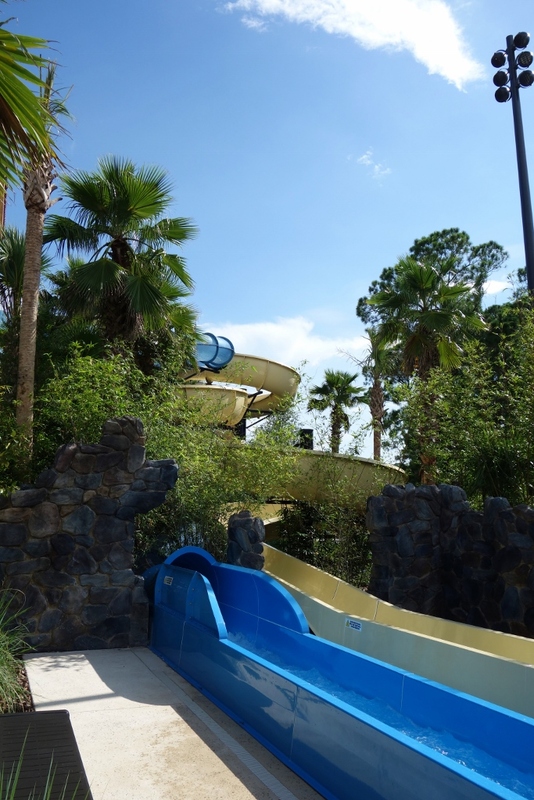 There’s also dual pool slides, one open and one enclosed, that splash down into their own landing zone near the kid’s water play area. Pool lovers will simply love the offerings at the Four Seasons. 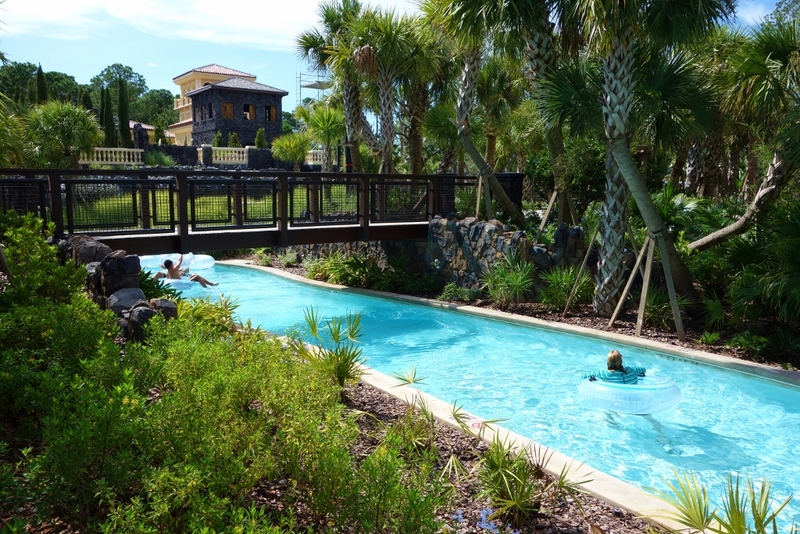 There’s much more on the pools at Four Seasons Orlando here. There are five restaurants at Four Seasons: PB&J, the pool bar and grill; Cuban-American dining in Plancha at the golf clubhouse; Capa, a 17th-floor Spanish steakhouse; Ravello, with downstairs Italian dining and an upstairs bar (with its own bar menu, but where you can also order off the Ravello main menu). There’s also a grab and go coffee shop, Lickety Split. I haven’t dined at Plancha yet (it’s a bit off the beaten path, over at the golf course), but have eaten multiple times at each of the others. 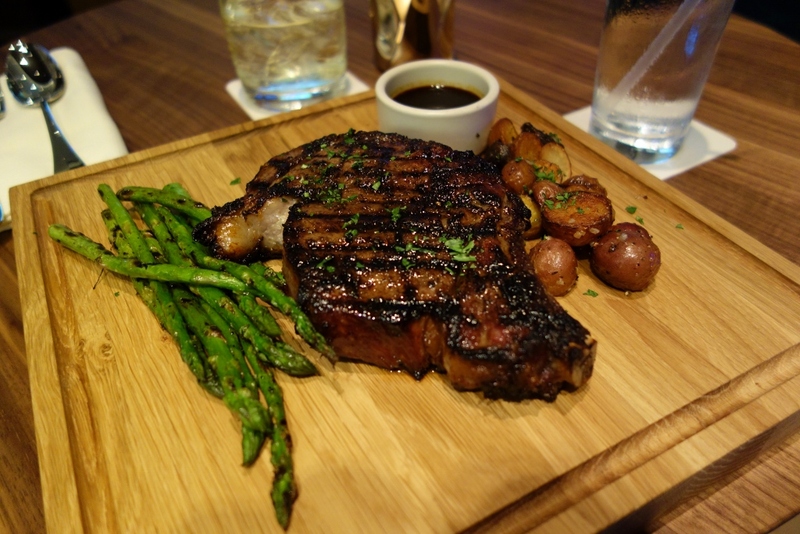 Kids will love dining at the pools, at the nearby PB&J, and at the Goofy and Friends breakfast at Ravello, but otherwise dining here works best for adults–and for them it works very well. 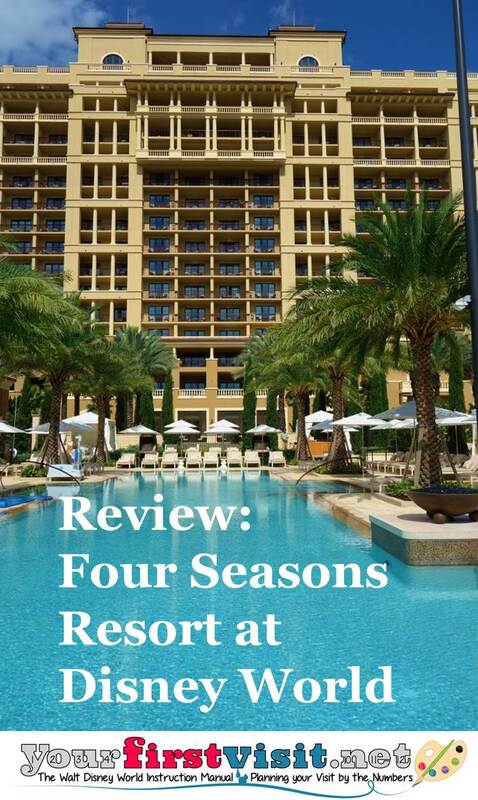 There’s more on dining at Four Seasons Resort Orlando here. 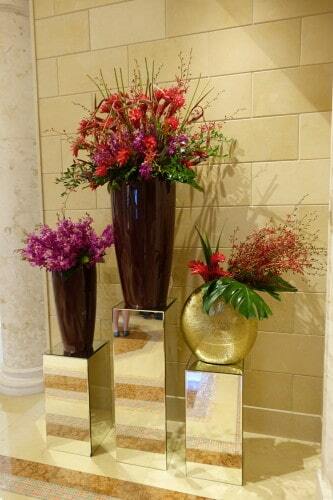 All parking is valet, and getting your car in and out is fast and very straightforward. For those guests who want to use Four Seasons transport to the parks, there’s two options. 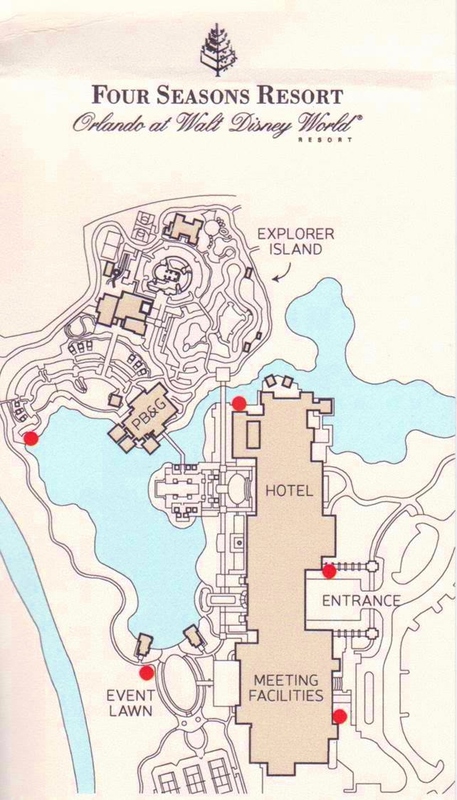 One (typically) leaves on the hour and goes to the Transportation and Ticket Center (TTC), a monorail or ferry ride away from the Magic Kingdom, then the Animal Kingdom, then back to the Four Seasons. 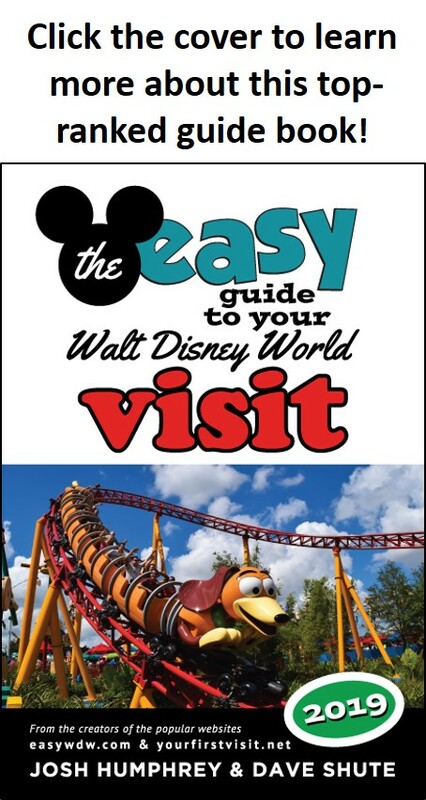 The result is twice hourly service to and from the TTC with its easy access to MK (and Epcot), and hourly to the other parks, with some stops in between. The scheduling is not right–the shuttles begin too late and end too early–and the frequency is not sufficient. The other option is to pay for the hotel’s town car service, or use Uber and or a cab. 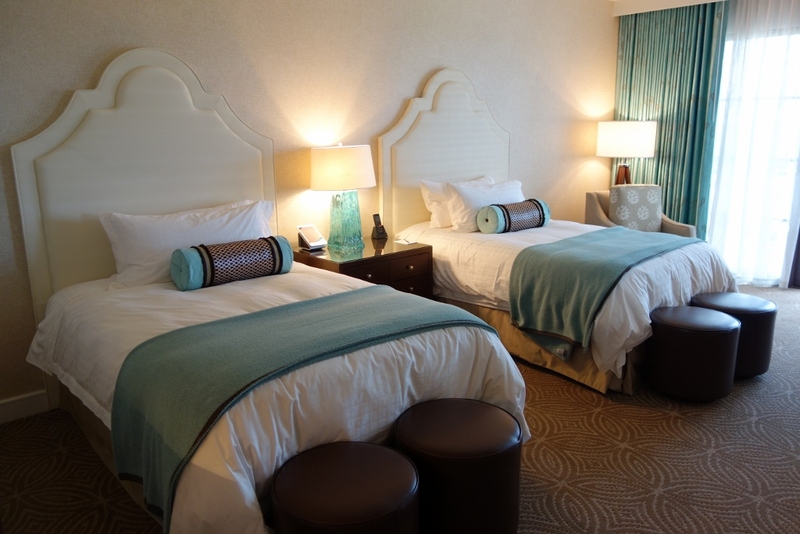 Guest rooms here range from $569 to $2,000 per night, depending on view and time of year. 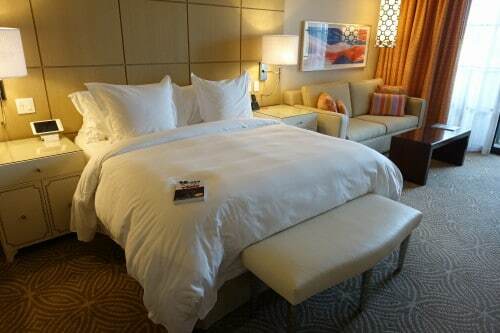 Suites range from $1,050 to $12,000 per night. Add taxes and valet parking, and soon that $12,00 adds up to real money. My full-bed and king bed rooms were at the lower end of that scale, putting them comparable to the lowest priced Grand Floridian rooms the same time I stayed. Upper floor park view rooms–frankly, by far the best choices–are ~$350 more expensive per night. The long-time travel agent partner of this site, Kelly B., can help you book your Disney World vacation at Four Seasons or anywhere else–contact her by using the form on this page.